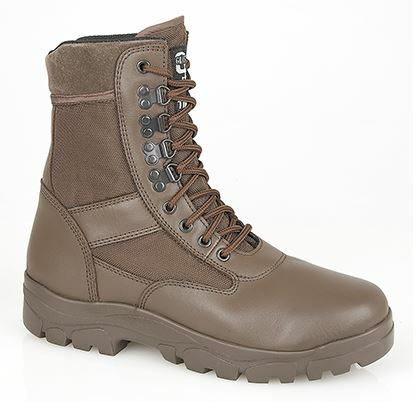 These lightweight brown patrol boots are perfect for those requiring a durable brown boot to wear with the new MTP clothing issued to cadet forces and reservists. The standard brown combat boot worn by most of the school CCF units in the Frome /Bath areas! * Made from premium quality brown leather, complete with thinsulate breathable lining. * Padded collar and tongue. * Steel shank in sole for added support. * Durable rubber non-slip sole. Full range of sizes generally kept in stock, by all means ring to check availability if travelling to the shop to collect.